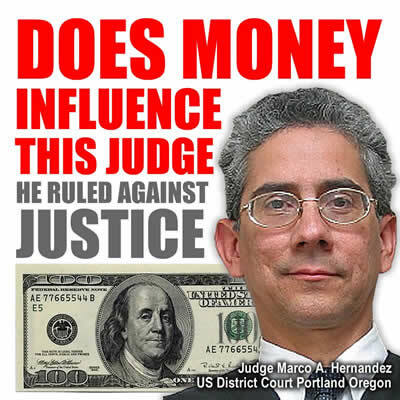 US District Judge Marco A. Hernandez obviously does not stand for justice. Ignoring the real criminals and abusing the rights of the innocent who did nothing but exposed crimes. Judge Marco A. Hernandez’s foolish and ridiculous rulings have finally been addressed. The Crystal L. Cox story is an example of how court rooms are abused by crooked lawyers and criminals. People who steal and try and get away with it due to having more cash and court connections. How false media stories get posted to twist the truth and hide the real criminals.